President Sergio Mattarella's veto of 81-year-old eurosceptic Paolo Savona as economy minister appeared to tip the country back towards repeat elections and triggered a dramatic speculative attack on Italian financial markets. Rome: Italy searched for a last-minute exit from almost three months of political turmoil on Wednesday, with its biggest party looking to make a renewed attempt to form a coalition government with the right-wing League, a source said. The two anti-establishment parties, the 5-Star Movement and League, had abandoned plans to jointly take power at the weekend after the president blocked their proposed cabinet lineup. President Sergio Mattarella’s veto of 81-year-old eurosceptic Paolo Savona as economy minister appeared to tip the country back towards repeat elections and triggered a dramatic speculative attack on Italian financial markets. The parties are now trying to find “a point of compromise on another name” for the economy ministry, said the source close to 5-Star, the single-biggest party in the new parliament. The sense that a resolution of the stalemate might be at hand came from Prime Minister-designate Carlo Cottarelli, who was tasked by the head of state this week to calm the turmoil and plan for repeat elections after the summer. “New possibilities have emerged for the birth of a political government,” Cottarelli was quoted as saying by ANSA news agency, implying that a government headed by politicians rather than technocrats like himself could be in the offing. However, League leader Matteo Salvini, who is surging in opinion polls, appeared to throw cold water on the notion that his party and 5-Star could try again to take power, saying Italy should return to an election as soon as possible. “The earlier we vote the better because it’s the best way to get out of this quagmire and confusion,” Salvini told reporters. 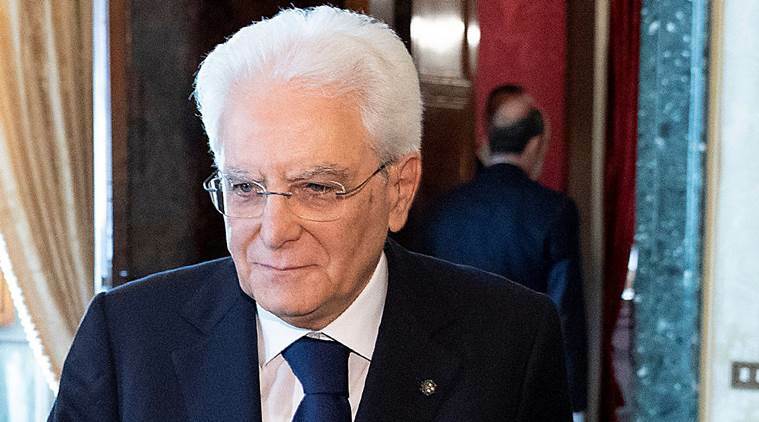 He did, however, appear open to an interim administration to govern for a few months, saying an election at the end of July would be “disruptive” for Italian seasonal workers. He invited Mattarella to make the first move, to “explain to us how we can get out of this situation”. A League source said the party would not block any quick political solution that would enable Italy to deal with possible “emergencies”. Currently, Prime Minister-designate Cottarelli has no major parliamentary support for a stopgap government of technocrats. Despite the softer tone from 5-Star and hopeful remarks from Cottarelli, a top adviser to Salvini said the League was not prepared to abandon Savona, the sole obstacle to the League and 5-Star winning the president’s blessing for a coalition. “If it wasn’t possible three days ago, then it’s hard to see why it would be now,” Giancarlo Giorgetti was quoted as saying to online news site Il Fatto Quotidiano. A surprise breakthrough between the president and 5-Star/League would ease uncertainty but still usher in a coalition planning to ramp up spending in the heavily indebted nation and push for changes to European Union and euro-zone fiscal rules. In the event of continued stalemate, Italy will go back to elections, with most major parties calling for the president to dissolve parliament and hold a vote as soon as July 29. A new opinion poll showed the League, which argues that fiscal rules governing the euro zone are “enslaving” Italians, would boost its share of the vote to a quarter, from around 17 percent on March 4. The IPSOS poll, in the Corriere della Sera newspaper, showed support for the League’s would-be coalition partner, the 5-Star Movement, steady at about 32.6 percent — implying a much more comfortable majority if the pair were to try again to govern. That prospect has rocked financial markets, with the euro sinking to multi-month lows on fears that snap elections would lead to a eurosceptic government in Rome. Italian government bonds, which suffered one of its most dramatic speculative attacks in years on Tuesday, found some support from local investors on Wednesday. The yield on 10-year bonds edged away from four-year highs and two-year yields, the focus of earlier attacks, also fell. Shares in Italian banks also recovered a little ground after five straight days of losses.